Who would have imagined that a visit to a farmers market while camping would lead to a lifelong hobby and love of maple syrup? welcome to H&H Sugarbush - home to some of Michigan’s finest Pure Maple Syrup. We have always enjoyed visiting local farm markets when we camp, and on a visit many years ago in Holland, Michigan, a maple syrup vendor gave us our first taste of this special sweet stuff. That encounter made for the best campfire pancakes we had ever enjoyed and inspired us to explore how to make maple syrup on our own. 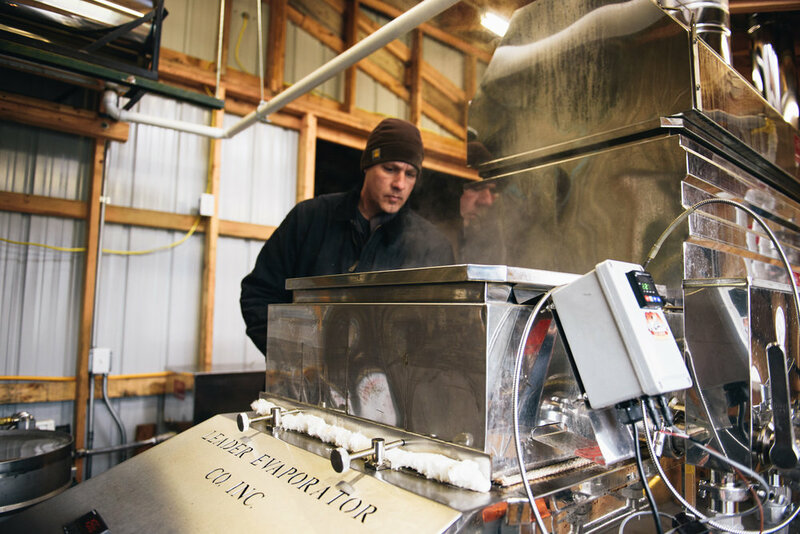 What started in 2008 as ten taps on buckets and boiling sap with a friend, has evolved into a lifelong hobby and business now involving over 1,800 taps on tubing with an ever growing Sugarhouse. 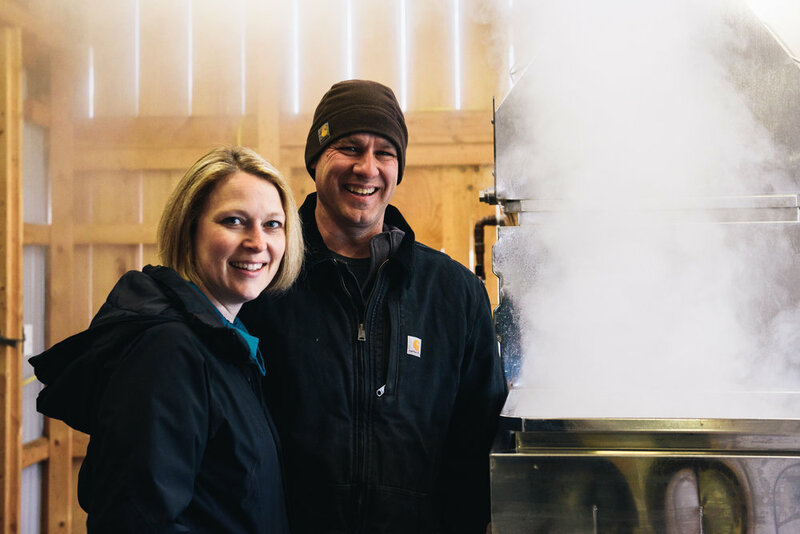 It is a true family affair as not only do all of us participate in the syrup making process, but the business is called H&H to reflect our last name, Hedding, as well as Michelle’s grandparents' name, Hinderer, to pay tribute to the heritage of the farm we live on. We are passionate about syrup and love the connection it gives us to our community. Let us share what we know, have learned, and what we do! 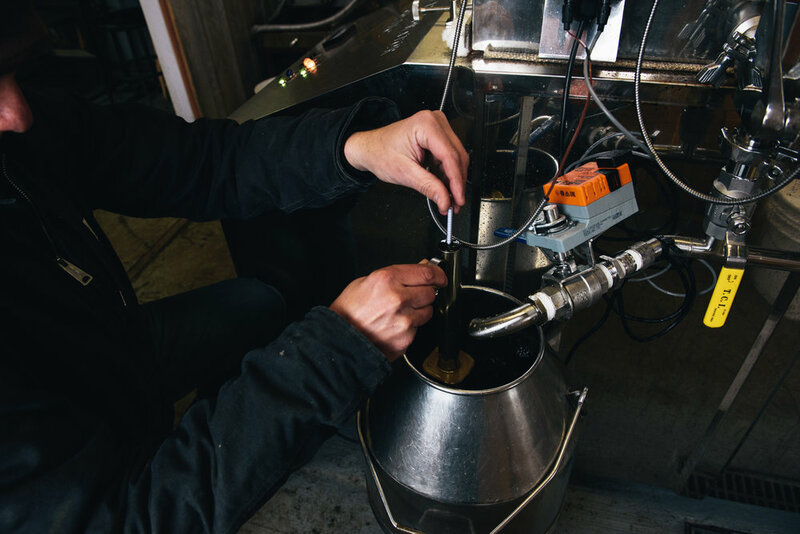 Making maple syrup is a tricky process. It requires a bit of negotiation and lots of understanding with dear Mother Nature as she decides when to provide the perfect conditions to start tapping our trees. When it looks as if there will be days with above freezing temperatures and nights that still dip to freezing on a regular basis, we know it’s time to get things underway. Armed with a 5/16” bit, we drill a 1.5”-2” deep hole, place a spile, give it a couple of taps with a hammer to seat the spile in and then connect each tap (in our case around 1,800) to a tubing system. The tangle of tubes is truly a well organized web, designed for the most effective collection of sap that culminates at a central site at the lowest point in the woods. When the tank in this location fills, it is then pumped to the Sugarhouse where the transformation begins. At the Sugarhouse, the sap begins the next leg of it’s journey in an 800 gallon tank, awaiting its turn to move through the Reverse Osmosis (RO) machine. The RO system uses high pressure to push the sap through a membrane to remove water. This part of the process is both time and energy efficient and removes about 80% of the water. 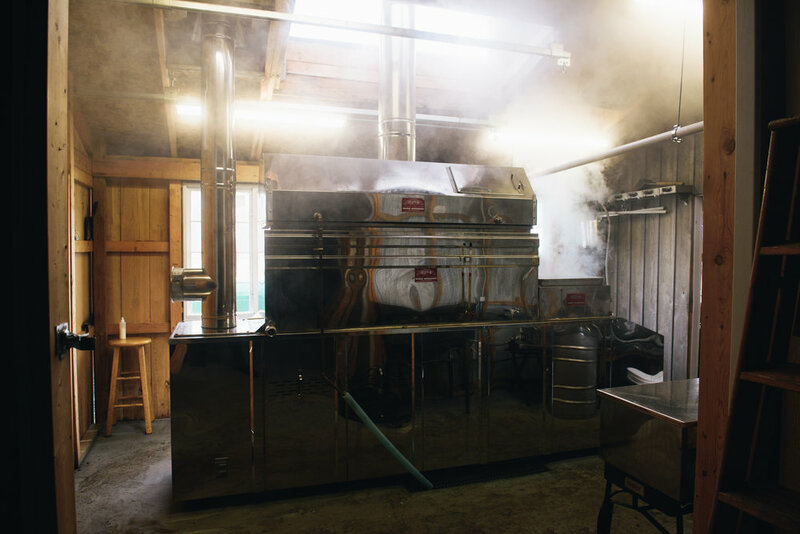 Next stop is the evaporator where even more water is removed and we begin to cook the sap which caramelizes the sugars and brings forth the true flavor of this delicious liquid gold. 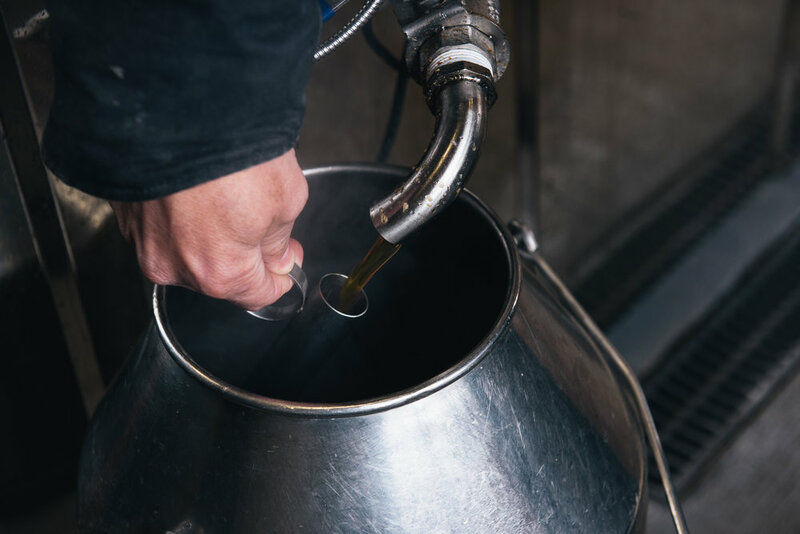 In order to share our bounty with you, we perform a final step in the process to filter the syrup and insure it is pure and clear and ready for bottling. 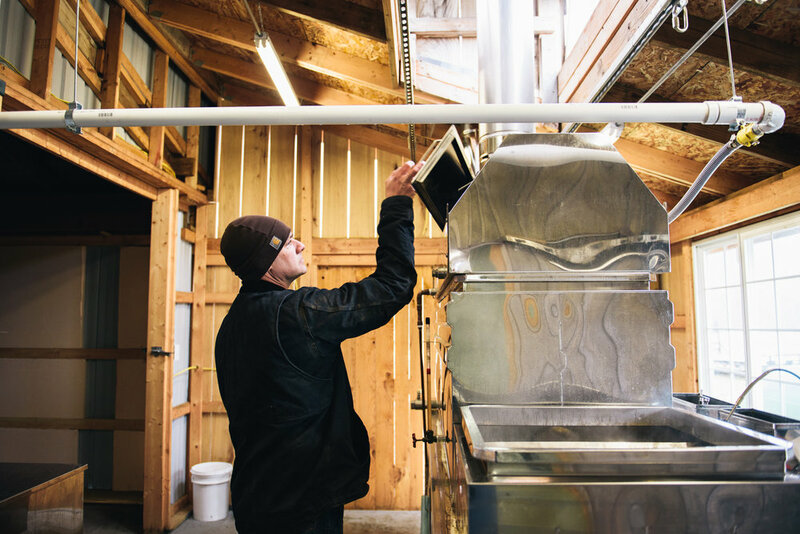 While the technology and tools for collection may have changed over the years, the process of making maple syrup is as simple as it has ever been, yet also complicated by Mother Nature’s fickleness each maple sugaring season. 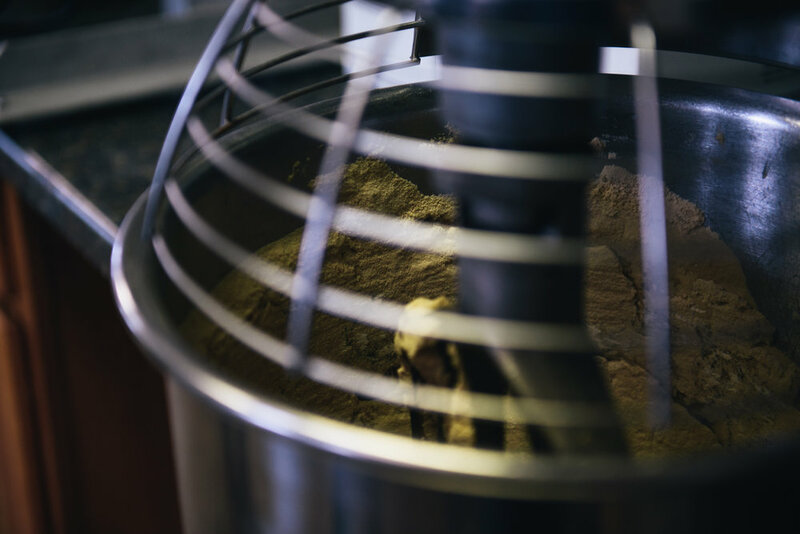 It is the dichotomy of a tried and true process to create a delectable and nutritious product, and the uncertainty of nature’s conditions that will prevail each season, that keeps us both excited and humbled by this business. We love to share our passion for all things maple, our knowledge, and lessons we have learned over the years. Please stop by or contact us if you have any questions. A tree takes about 40 years before it’s big enough to tap. 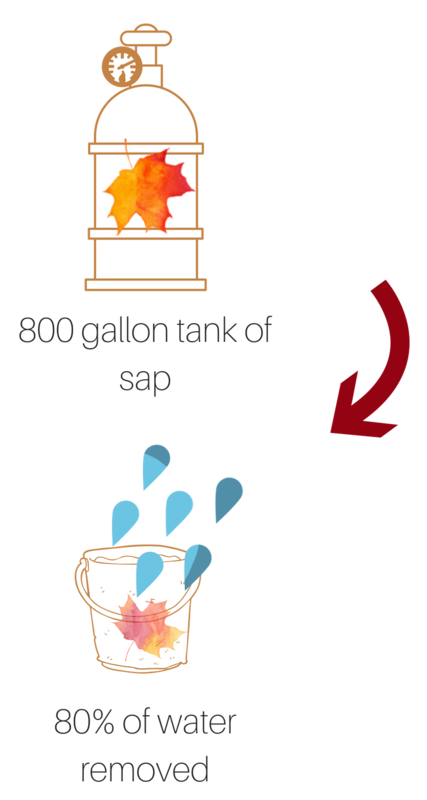 It takes about 40 gallons of sap to make one gallon of maple syrup because sap is about 98% water. Most trees only yield 5 to 15 gallons of sap per season. Sap typically runs out of maple trees on days when the temperature is around 40 degrees following a night when the mercury has dropped below freezing. The typical sugaring season starts mid-February through mid-March and last for about 4-6 weeks. The pattern of freezing nighttime temperatures and thawing daytime temperatures create a build up of pressure in the maple trees to get sap flowing through the tapholes. The end of this temperature cycle will cease the flow of sap. Only about one percent of Michigan’s maple forest resource is used in maple syrup production. Maple syrup has higher levels of nutrients and antioxidants as compared to white sugar and high-fructose corn syrup. Maple syrup has many minerals per tablespoon: 20 milligrams of calcium, 2 milligrams of phosphorus, 0.2 milligrams of iron, 2 milligrams of sodium, 35 milligrams of potassium. 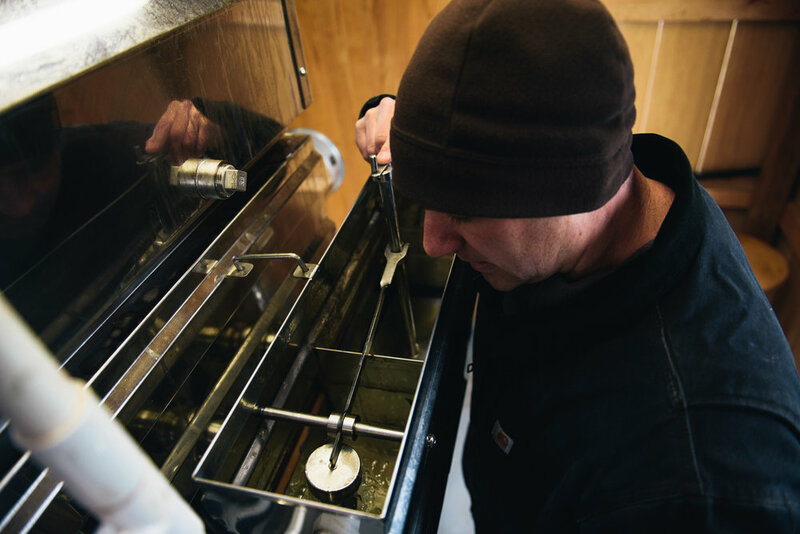 Grading of maple syrup is based upon the transparency of the syrup.